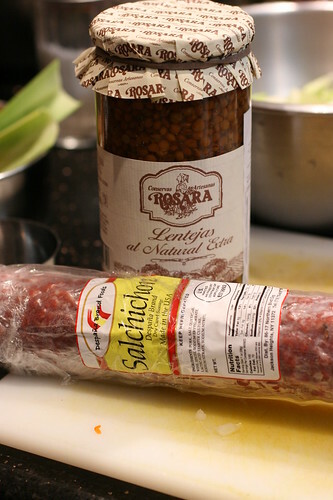 I’ve been waiting till the temperatures cooled a bit, before using the lentils (Lentejas) in our Despana Basket. 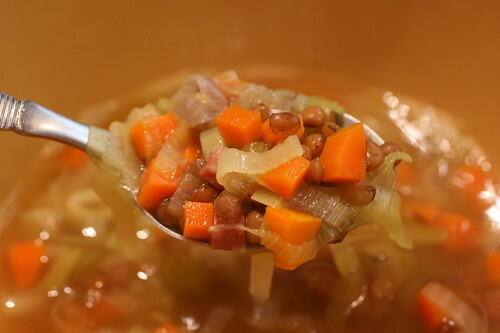 The advantage of jarred lentils, over dried, is that you don’t have to rehydrate them. 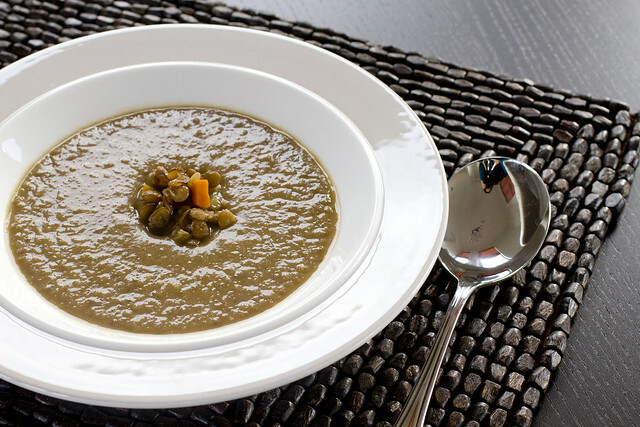 That’s why I call it a Quick Lentil Soup; it’s relatively faster and easier. It’s taken us a while to go through all the fabulous meats in our basket, but we’re finally down to the last one, Slachichon, a dry cured sausage. It’s delicious eaten as is, similar to salami, just thinly slice it, and have a glass of wine, maybe some cheese, ahh…I decided to throw some into the soup for extra flavor. 1. In a large dutch oven, heat the salchichon on high heat until it gives off fat, about 2 minutes. 2. Add leeks, carrots, onion, and stir until softened, about 5 minutes. 3. Add chicken broth and lentils and bring to a boil. 4. Turn down to a simmer and cook covered for 30 minutes, stirring occasionally. You won’t believe how something so simple and so easy can taste so good. It’s healthy too!